Methane Molecule is a photograph by Russell Kightley which was uploaded on July 24th, 2016. 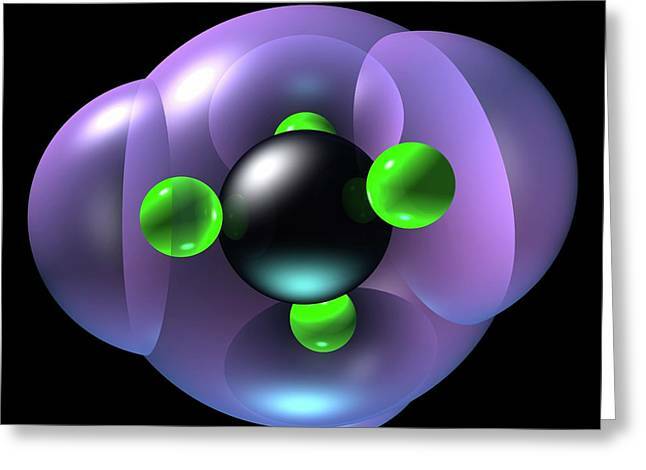 Methane molecule, computer illustration. 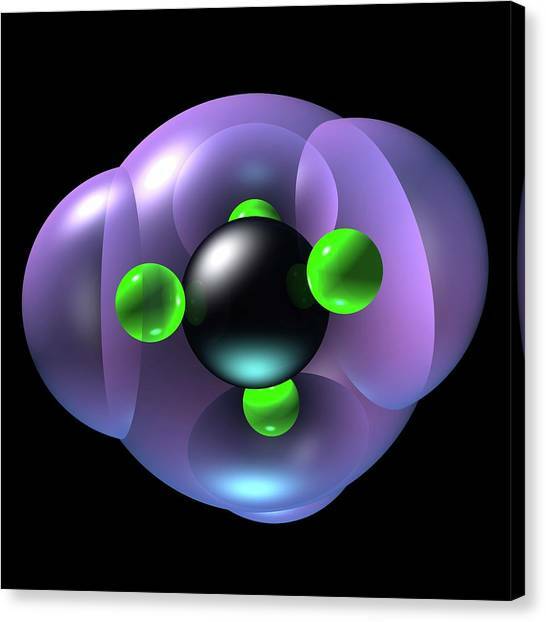 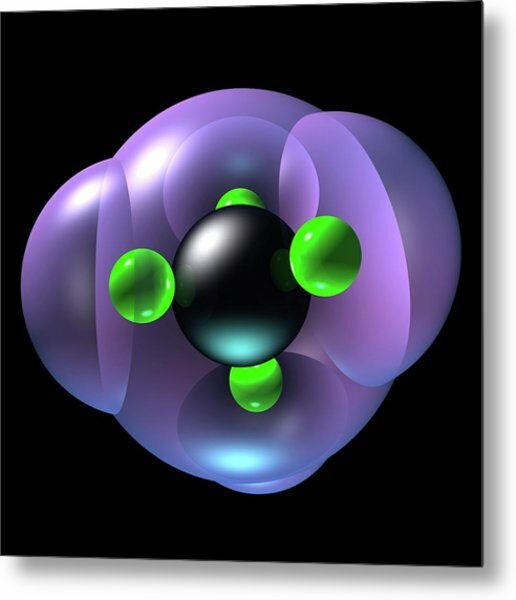 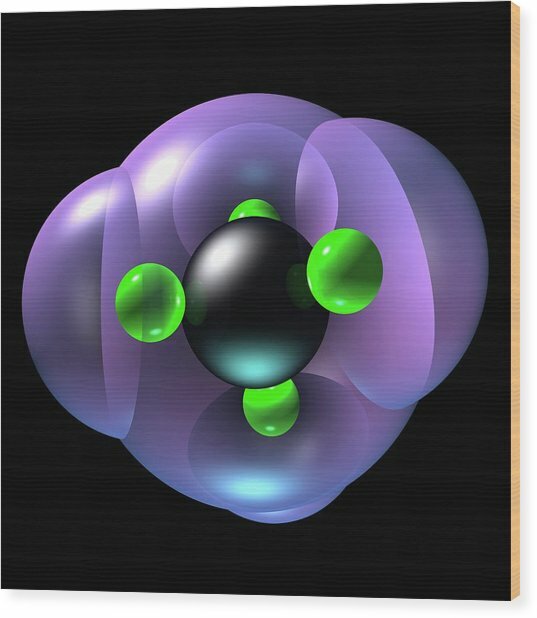 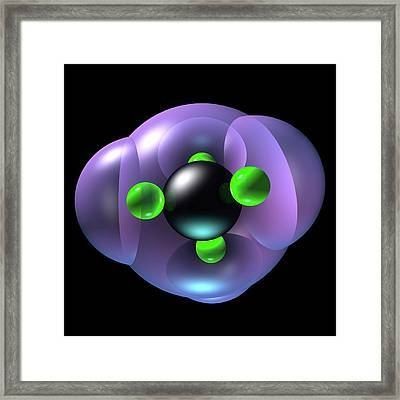 Methane molecules are made up of a single carbon atom (black) and four hydrogen atoms (green). 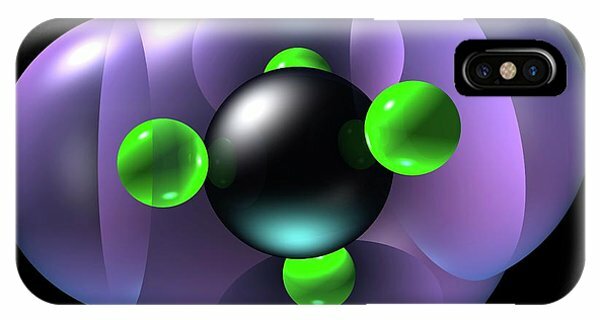 It is a gas at room temperature and pressure, and the main component of natural gas. 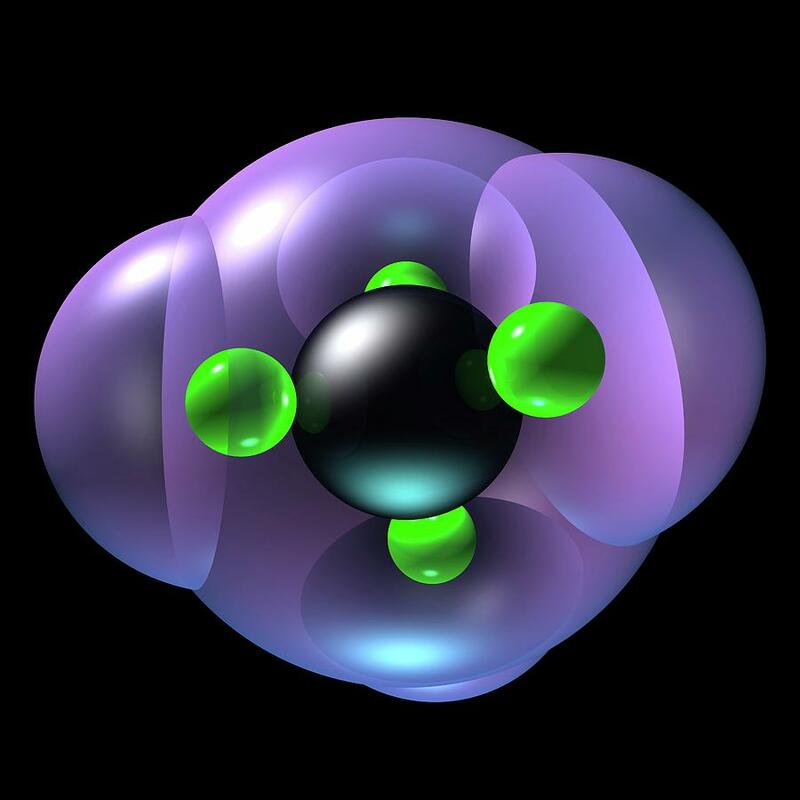 It is a clean and cheap fuel, and if pure, can be liquefied for transport and storage.